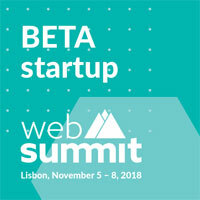 greenTEG: We will exhibit our solution for continuous, non-invasive core body temperature measurements for wearable and med-tech applications at the Websummit in Lisbon. Contact us for a meeting during the fair. The core body temperature (CBT) is an important parameter for accurate assessments of the human body’s state of health. With greenTEG's technology it is possible to measure the core body temperature non-invasively. Core body temperature data helps drawing conclusion about: training level, sleep quality, stress & burnout, ovulation, Alzheimer's, and heat stroke.